What's the Price for the 2018 BMW X5? How Many MPG Does the 2018 BMW X5 Get? What's New for the 2018 BMW X5? Now in its third production cycle with the 2018 model year, the BMW X5 has done well as one of the better luxury-branded crossover SUVs. Apart from the rearview camera now being standard, nothing has changed about it. There are still three engines available: the N55, a gasoline-powered twin-scroll turbocharged inline 6-cylinder (I6) with 302 horsepower and 295 lb-ft of torque; the N63, also gasoline-powered, albeit a 4.4-liter twin-scroll turbocharged V8 with 445 horsepower and 479 lb-ft of torque; and the diesel-fueled N57, which is a 3.0-liter twin-scroll turbocharged I6 with 255 horsepower and 413 lb-ft of torque. Joining each engine is an 8-speed automatic transmission, which adds excitement to the driving experience with steering wheel-mounted paddle shifters, Manual and Shift drive-select modes, and a SHIFTRONIC® shifter. To boost fuel efficiency - which peaks at 23 mpg in the city and 29 mpg on the highway with the N57 diesel engine - there’s start-stop technology and ECO PRO mode as standard features. On the X5, you have a choice between the sDrive (rear-wheel-drive system) and the xDrive (all-wheel-drive system) as your drivetrain. Designed as a five-seater, the crossover SUV has black vinyl upholstery, 14-way power and heated front seats, and 4-way lumbar support and memory system on the driver’s seat as standard. However, if you go with the top-level xDrive50i trim - complete with the N63 V8 engine - BMW will enhance the vehicle with Dakota Leather upholstery and 20-way power-adjustable front seats. Base-level standard comfort and convenience features include a power tilt-and-slide panoramic sunroof, push-button engine start, an Advanced Vehicle & Key Memory system, an auto-dimming rearview mirror, a garage-door opener, a single-disc CD player with MP3 playback capability, an AM/FM radio tuner, HD Radio™, and a nine-speaker 205-watt audio system. The xDrive50i is the only trim with features such as quad-zone automatic climate control, a one-year SiriusXM® satellite radio trial subscription, and a 16-speaker 600-watt Harman Kardon® audio system. In addition to the previously mentioned rearview camera, the 2018 BMW X5 has safety features such as six airbags (two front impact, two side-impact, and two side-curtain airbags), a front and rear parking assist system, four-wheel anti-lock disc brakes, programmable daytime running lights, dynamic stability control (which combines elements such as traction control, brake fade compensation, brake drying, and brake control), BMW Assist eCall™ for SOS emergency request and automatic collision notification, the BMW Remote Services suite (which includes stolen vehicle recovery and remote door unlock), and a theft-deterrent system. If you go with any trim above the base-level sDrive35i, BMW will add hill descent control. 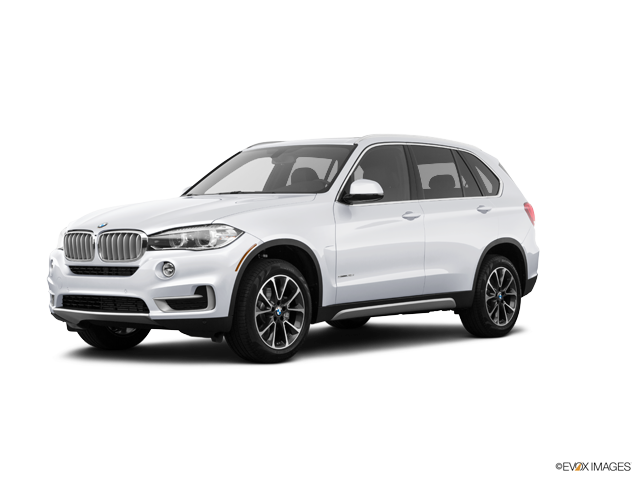 To take the 2018 BMW X5 for a spin or two, look no further than our dealership. We are renowned for our excellence in customer service, thanks to our supreme team of BMW sales specialists. And we have lots of X5 units to make your pick from. Call us today to set up an appointment. * MSRP excludes destination & handling fee of $995, tax, title, license, and registration. 2018 X5 sDrive35i shown includes Luxury Line.